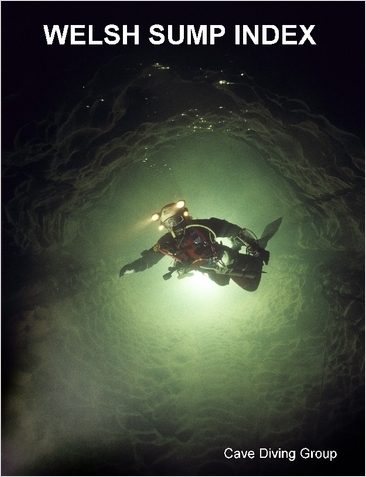 The Welsh sump index is the most up to date reference to cave diving sites in the region. It has 100 pages covering cave and mine diving in Wales and the Forest of Dean. In November 1966 the late Mel Davies published an account of the known sumps, resurgences and sinks in South Wales, this he called a “Cave Sump Index: South Wales”. It was not until 1986 that John Adams and Dave Morris compiled an updated version, extending the coverage to the caves of North Wales and various flooded mines. This edition is based largely upon their work and has been brought up to date using reports from the Cave Diving Group Newsletter and other published accounts, as well as contributions from individuals. Please bear in mind that the information contained herein may not be current or accurate. It is the nature of any guidebook to become quickly outdated.